As family members and friends of an addicted loved one, you have probably observed this person fail to establish clear boundaries. You may also have a hard time establishing the boundaries that would protect you from this person’s behavior. Learning healthy boundaries is an essential aspect of self-care. 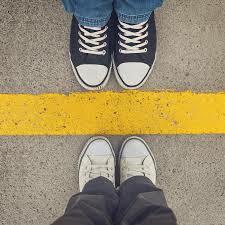 Boundaries help us know who we are and make healthy choices. They give us confidence in using the words “yes” and “no.” When boundaries are violated regularly, the wounds take years to overcome. Boundary injuries sustained in childhood create four types of unhealthy dispositions. The compliant disposition is easily controlled by the demands of others. The non-responsive person is too self-absorbed to notice others’ needs. The controlling person fails to respect others’ boundaries, and the avoidant person fails to recognize his or her own needs and ask for help. Which boundary injuries did you experience growing up? How have those injuries affected you? Which of your boundaries (thoughts, feelings, needs, values, personal space) are violated most often? Why do you allow your boundaries to be violated? How might the boundaries in your family need to change? I feel __________________________when you _________________________. It would help if we could __________________________________________. If this simple statement feels difficult or even dangerous, ease up. Don’t feel pressure to respond immediately. You can simply say, “I’m feeling confused about how to respond right now. Please allow me to think about this for awhile.” After some reflection and space, you might feel the assurance you need to create a boundary and protect yourself. As we learn to recognize and establish our boundaries, we help ourselves, our family, and our addicted loved one live with greater honesty, integrity, and self-respect. Ultimately, boundaries help us all recover from the destructive disease of addiction.